L-carnitine is created in the body from the amino acid lysine and methionine, and our capsules are perfect for boosting your daily intake — through a unique liquid delivery system. Packed with 1g of L-Carnitine per serving, our super-convenient liquid capsules are designed to help you through the toughest workouts — perfect for any fitness goals. 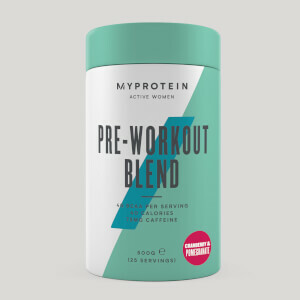 It’s an amino acid that occurs naturally in protein which helps to build and repair new muscle,1 making it an essential addition to your training. And, they’re great for vegans and vegetarians, too. When to take Liquid L-Carnitine Amino Acid? We recommend taking 2 capsules daily, with meals, for best results. Our Liquid L-Carnitine Amino Acid capsules should be taken in addition to a healthy and balanced diet. 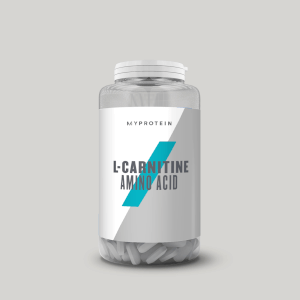 What does Liquid L-Carnitine Amino Acid work well with? Liquid L-Carnitine Amino Acid is a convenient way to top up on carnitine levels throughout the day. But, to make sure you’re getting all your vitamins in minerals, try our Daily Multivitamin — a blend of seven essential vitamins in one convenient tablet. L-Carnitine (47%), Bulking Agent (Glycerol), Vegetarian Capsule (HydroxyPropylMethylCellulose), Purified Water. Serving Size 2 capsules, 1-2 times daily. This is one of my favourite supplements. I've used it in powder form and although it probably helped by giving me some energy I didn't feel itC working as I do with these liquid capsules. It's fantastic to actually know for sure that something's doing its job. It makes me feel good and seeing as I suffer from severe ME/Chronic Fatigue Syndrome that's high praise indeed! Read good reviews about so thought I'd give them a try. I don't know how, but they work, only been taking them for a couple of weeks, but already lost inches. Theres no nasty taste when taking them either. This will be a definite repurchase for me . 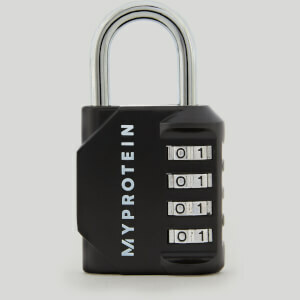 Great product, much more effective than tablet form. Lost 6lbs in 3 weeks since ive started on these. 2 x L-lcar tabs + 3xThermopure BEFORE workout Empty Stomach 20g BCAA DURING workout 25-40g Whey Protein AFTER workout + 20-40g High G.I.carbs + 2 or 3 L-lcar tabs. 07/04/17 by Tummy finally flat!